Sediment diagenesis models from the last 20 years were analysed and the challenges and opportunities for their development were considered. The major challenges and opportunities for the development of the models include aligning conceptual models of organic matter with measurable parameters; gathering accurate environmental data; coupling the sediment models with ecological and spatially-resolved physical models; and making the models more accessible by using a consistent notation and community modelling software. A new theoretical framework for modelling organic matter cycling is presented. A new sediment model is applied to the Swan River to assess the effect of water column oxygen fluctuations on nutrient cycling. 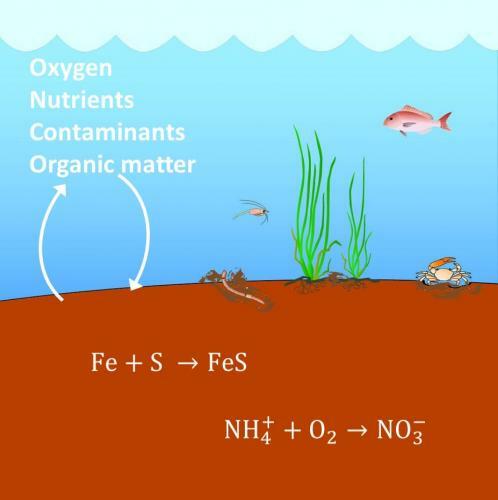 Sediments have a huge effect on oxygen consumption, contaminant transport and nutrient cycling in aquatic ecosystems. However, the many interdependent chemical reactions that occur in just the top 1 m of sediment make it difficult to predict the effect of one process on any of the others.